Welcome to our production line! 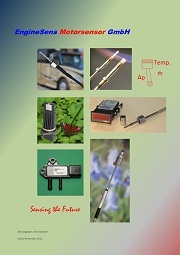 Join us on a tour of our factory for temperature and air quality sensors. 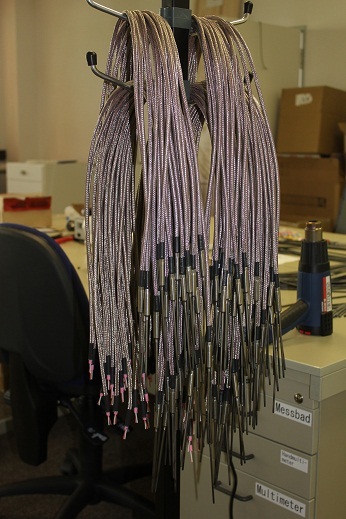 All supplied parts such us cables, resistors, turned parts undergo an incoming inspection. At first cables are cut and unsheathed. 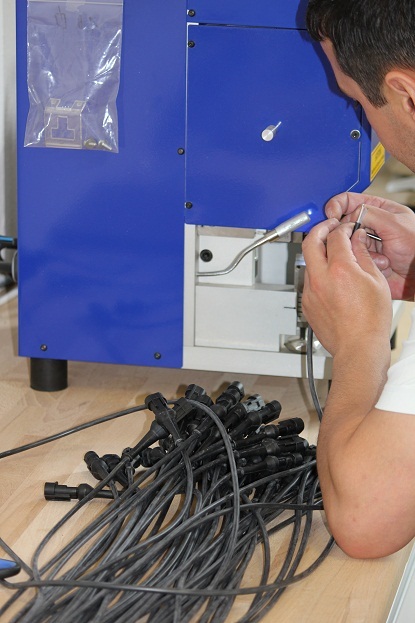 Cable assembly includes the installation of all connectors, single wire seals, etc. 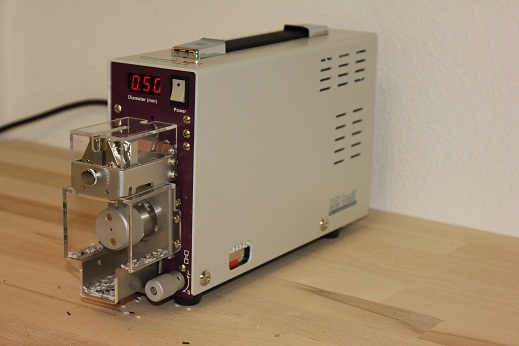 During assembly and processing of heat shrinking tubes the “assembly gallow” is very helpful. 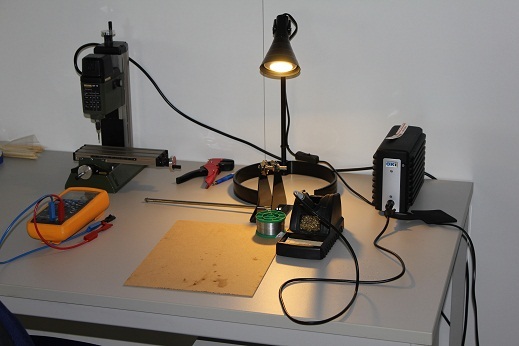 At this assembly station PCB are soldered, funtional tests are performed and parts are assembled. Of course we work with lead-free solder. 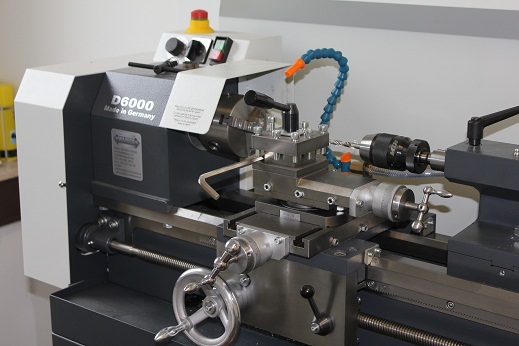 This lathe is used to produce casings of prototypes and small series. We mainly use stanless steel such as 316 SS but also brass and plastics. 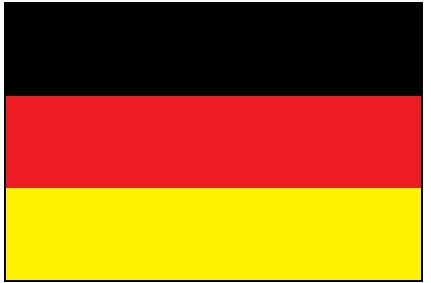 For larger series we purchase turned parts from qualified suppliers. After the interior has been inserted in the housing the electrical connection is made with a cable. Therefore crimping is a reliable method. After and during production measurements are performed to detect any failure in its early stages and to immediately remedy the situation. Nevertheless a number of final inspections are essential. 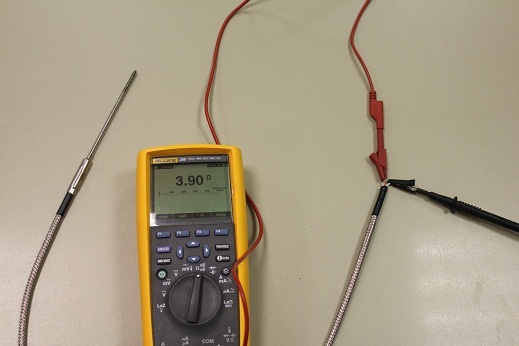 Electrical function test: Here the correct state of the “Hot Junction” of a thermocouple is checked. Critical drawing dimensions are subjected to a meticulous examination. 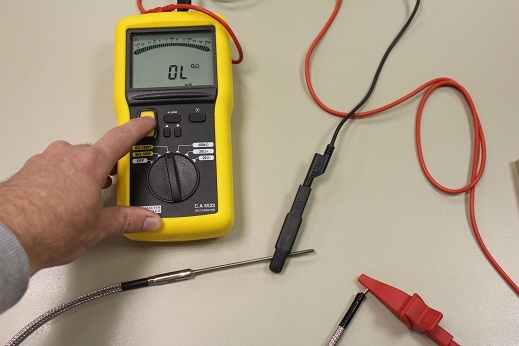 An insulation test ensures that there is no contact between metal housing and the sensor´s electrical interior. Usually this test is performed at ambient temperature. 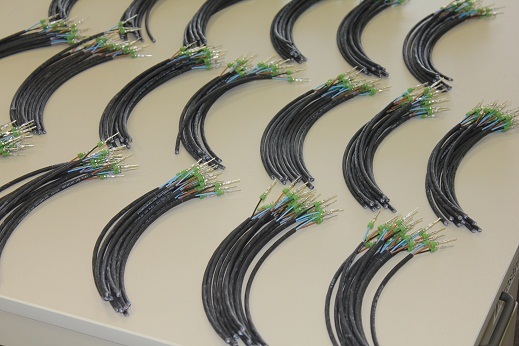 In individual releases, during testing and on customer´s request the sensor probes are measured individually and the results are documentated. 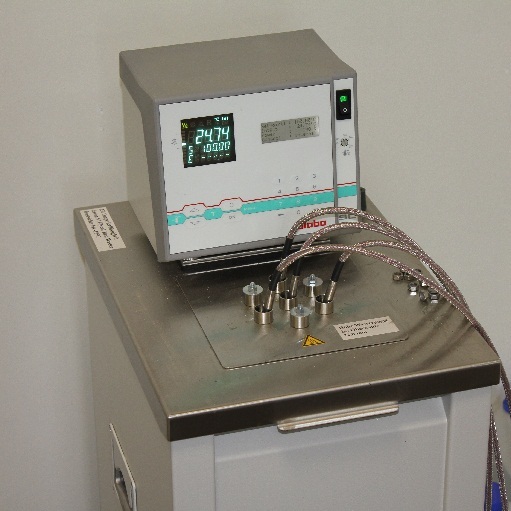 Our calibration bath can be used in the range from -30°C up to a maximum of 200°C. 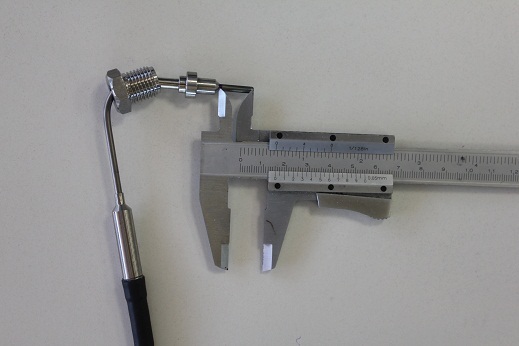 Also measurements for test certificates are conducted with this apparatus. So, now we have reached the end of our small virtual tour and we thank for your interest. Of course we are happy to answer your questions.